Update, December 14: The Raspberry Pi Steam Link app is now available for free. Valve may have killed the Steam Link, but now you can build your own using a Raspberry Pi. A press release from Valve says that the new version of the app is now available for free. Hopefully, it should make for a solid replacement to the Steam Link hardware, which was discontinued earlier this year. 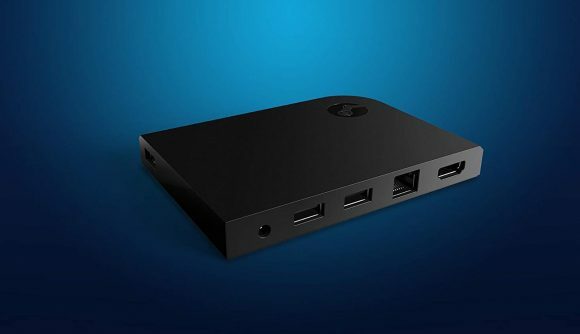 Steam Link development has shifted primarily to app support, and this new beta will allow you to replicate the original version’s status as an all-in-one game streaming device. The Steam Link app is available in beta on Raspberry Pi 3 and 3 B+ running Raspbian Stretch. Installation is a fairly simple command line instruction, and from then on you can launch it from the Games menu or with the ‘steamlink’ command. Initial installation will get you the full app and a desktop shortcut, and further updates will happen automatically. You can find installation instructions on the Steam forums, courtesy of Valve’s Sam Lantinga. This news comes without much promotion – it doesn’t even rate a proper announcement in Steam’s news section – but if you’re looking for an all-in-one box to send your Steam games throughout your house, this is a welcome bit of news. The in-home streaming solution has already been available as an app for some time on mobile OSes and smart TVs, but this is a convenient replacement for the original streaming device. The Steam Link was officially discontinued just last month, and while the device has been outclassed in performance it’s tough to beat the price. But a Raspberry Pi certainly won’t break the bank, either. Check out a list of the best free Steam games if you need something to test out your own little streaming box. You can’t always be at your desk for proper PC gaming, after all.